Replacement window installation instructions are meant for homeowners who want to go through the planning, buying and installation of a DIY project. Before you decide whether tackling a project such as this is worth the money you can save over hiring a professional contractor to handle the installation for you, read on to understand the full scope of what DIY window replacement entails. Measure, measure, measure – And then measure again! Nothing spells disaster more than an inaccurate measurement, and this is especially true with replacing your windows that need to fit into an exact sized opening. So measure multiple times to make sure you have it right (at least 3 is a good idea!). To measure the height, measure from the bottom sill to the top of the window and measure it at both sides and in the middle. For the width, measure from jamb to jamb, at the top, bottom and middle of the window. Then take the smallest measurements to determine the dimensions/size you need. It is better to err on the side of getting the window too small rather than too large (you may want to take 1/8″ – ¼” off the measurement to make sure it’s small enough). You can use shims and caulk to fill the space left by too small a replacement window, but if the window is too large, it will not fit in the existing frame and will be unusable. 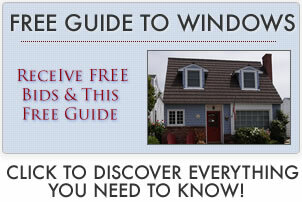 Make sure the replacement windows that you choose will fit well into the existing openings left by your old windows. This will make the project go much more smoothly. Make sure that there is no existing rot or damage that will need to be fixed once the old windows come out, unless you are prepared to deal with the extra work. If there is extensive damage, it might be worth it to hire an installer. Find out how long the windows take to be delivered so you can make sure that the timing coincides with when you will be available to tackle the project. Do not remove any existing windows until the windows have arrived, have been checked for proper size and no defects, and you are ready to put the window in place. Before you order, check out our replacement cost estimator and see how DIY can save you money order professional installation. Before you get started make sure your new windows are the right size and are what you wanted. Make sure you have all the tools you need, as well as some help. Make sure you have the time needed to complete the project once you begin (you don’t want to be called away only to be left with an open hole in the side of your house!). Check surrounding frames and sills for signs of rot (you can do this with a chisel, awl or ice pick) and if any exists, take care of this first. Make sure that your new windows are the right size and are in good condition. Make sure you have all the tools needed to complete the job and that you have an extra set of hands to help you with the project. Once you’re confident that you have what you need, you’re ready to go! Working from the interior of the house, remove the inside stops and put them aside (you will reuse them later). Remove the sash and glass. You may need to cut through nails that are holding the sash in place. Once the sash is out, check the frame. Use an awl, chisel or pick to check for signs of rot. Remove any protruding nails or drive them into the wood and remove any old caulk. Don’t remove any exterior trim or siding. Unlike new construction windows, the exterior trim and siding should not have to be removed to install them. The windows will be installed from the interior of the home and should fit into the existing opening with minimal work required around the area. Place the replacement in the opening to make sure it fits well and to see where any adjustments may need to be made. Remove the replacement and place a thin bead of caulk along the inside edge of the outside stops and along the bottom of the sill. Remember: the better the job the higher the energy efficiency. Re-position it in the frame. Make sure it is positioned in the center of the frame and that it is plumb and square. To do this, use a level and also measure from corner to corner. Use shims wherever needed to get the replacement in the proper position. Reinstall the interior window stops to hold it in place. Use 1 1/2″ finishing nails to secure the stops and set the nails. Then place a bead of caulk around the edge where the stops meet the frame. You’re done from the inside – now head outside. Make sure it has a sloped frame that is the same as the slope of the sill. If there’s a gap, the window should come with an insert that can be used to cover the gap, or if not, you can use a piece of wood. Once in place, use caulk to seal the seams between the frame and the insert (or wood). Enjoy your new addition and the money you saved with the do it yourself method!